Activision has officially announced the developer panels that will be taking place during the Call of Duty XP event. These panels are for attendees of the event, and Activision has not said if they will be live streamed. Description: Director of Zombies, Jason Blundell and Lead Writer, Craig Houston discuss the long-running narrative of the storied Black Ops Zombies saga and its climactic end with Revelations. Blundell and Houston will discuss the development history of Zombies, construction of its universe, the evolution of its story and its characters, and conduct a Q&A with fans. Description: An in-depth conversation about what it takes to make remarkable, Call of Duty-worthy music and audio across all games modes for Infinite Warfare. Panelists will explore the musical themes of Infinite Warfare, what they signify, how they relate to in-game characters, items, events, or scenarios, and unpack the music and audio implementation for the game. Go on a behind-the-scenes journey of the recording process and be ready for unique soundtrack announcements. Description: A look at the game aesthetic of Infinite Warfare and how “Navy meets NASA” design inspired the game’s unique creations and appearance. The panel will include a deep dive into how these seemingly disparate elements work, or why they needed to be fictionalized for the space setting. We’ll also explore the functionality and practicality of real-life Navy and NASA designs and how they inspired in-game designs. In addition, fans can learn more about Infinite Warfare’s vehicles, robot design, level design, game locations, overall look, and more. A sneak peek at how we made select Calling Card art with some special surprises. 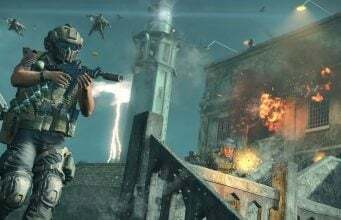 Description: Developers from Infinity Ward, Raven Software, Beenox, and Certain Affinity provide an inside look into the remastering of the critically-acclaimed Modern Warfare. Panelists will discuss the process of remastering the classic game, the creative vision behind upgrading gameplay and aesthetics, and conduct a Q&A with fans. Description: Over the last seven years, Sledgehammer Games has grown from its two founding fathers in a temporary office space in 2009 to over 250 developers today in a two-story Bay Area development studio – including a satellite office in Melbourne, Australia. During the Seven Year Journey panel at Call of Duty XP, we’ll take a deep dive into Sledgehammer Games’ development process with studio heads Glen Schofield and Michael Condrey, hear behind-the-scenes stories from the development of Call of Duty: Modern Warfare 3 and Call of Duty: Advanced Warfare, and they’ll answer some of your questions about their studio. And who knows – they may share some studio and game secrets, reveal undiscovered Easter Eggs, and shed some light on mysterious past projects! Be sure to stick around afterwards for a fan meetup, swag giveaway, and a meet-and-greet with some of the cast members of Call of Duty: Advanced Warfare! 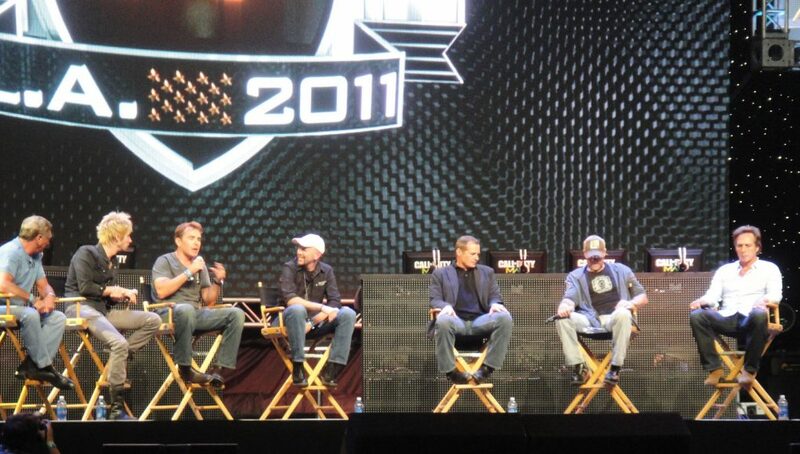 We’ll be at the Call of Duty XP event and will post any news that does come from all of these panels. Be sure to follow us on Twitter, Facebook, and Instagram for the latest news.